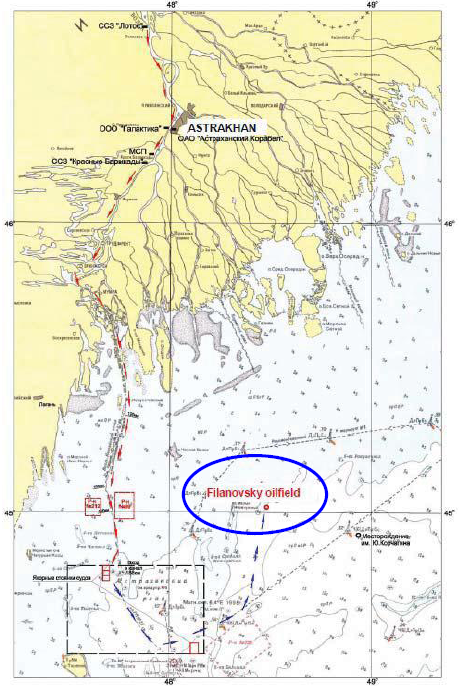 The V Filanovsky oil field is located in the Russian area of the northern part of the Caspian Sea in shallow waters. 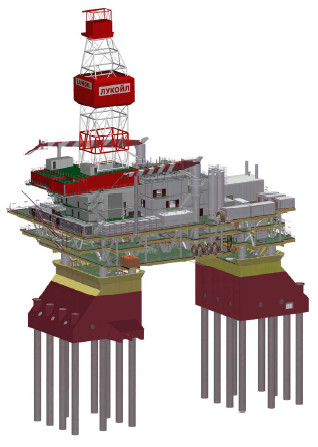 Lukoil awarded the Floatover Installation of 2 topsides to Caspian Hydra Technologies (CHT). 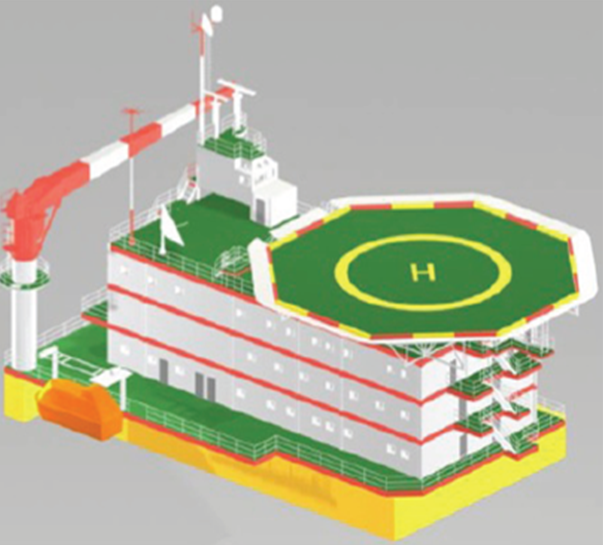 CHT awarded the construction management and installation engineering of the Floatover of the two topsides to OCS. 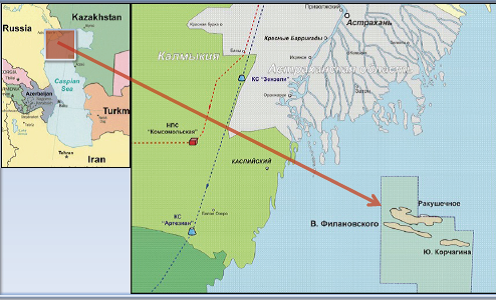 The Vladimir Filanovsky oil field is located in the territory of the licensed site “Severniy” in the Russian area of the northern part of the Caspian Sea, in shallow waters, 170 km to the south of the city of Astrakhan, and 20 km to the east of the Maliy Zhemchuzhniy island. The water depth in this region is about 9m. 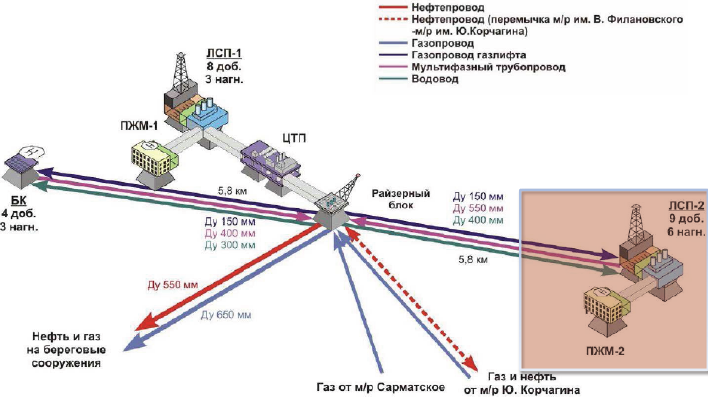 Caspian Hydro Technologies (CHT) a company incorporated in Russian has been awarded the Filanovsky Phase 2 project by LUKOIL. 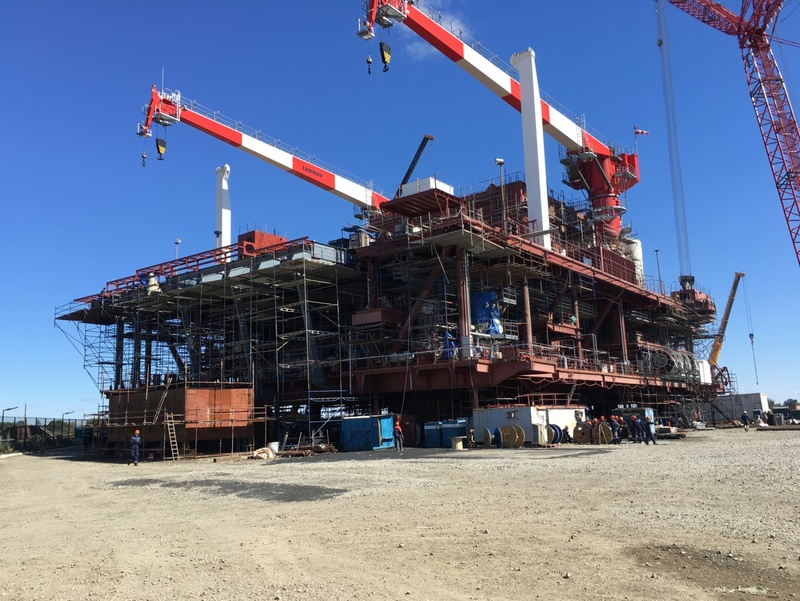 The project entails the installation of an Ice Resistance Production Platform (LSP-2) and an accommodation platform (LQP2) with a bridge (PM4) linking the LSP-2 with LQP-2. CHT is the main contractor. 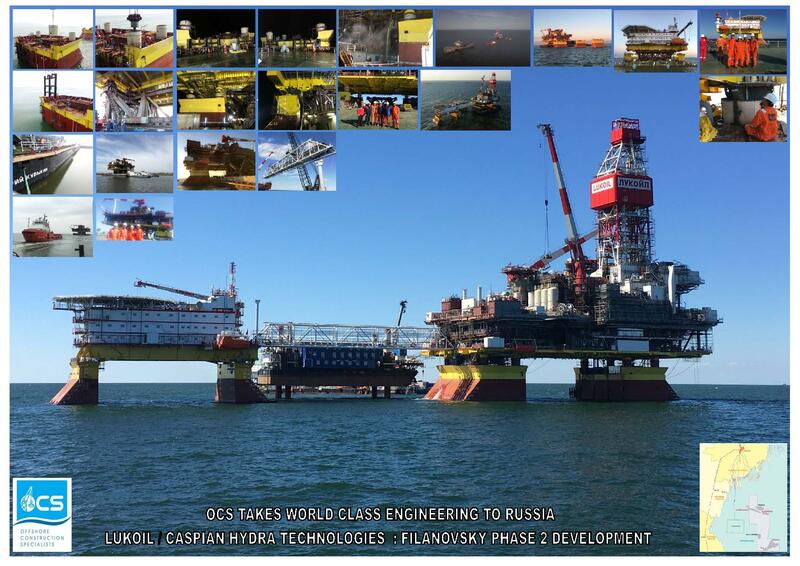 OCS in turn has been awarded the Engineering and Floatover construction management contract by Caspian Hydra Technologies for the Filanovsky Stage 2 Project. The float over operation is scheduled for 2nd quarter 2017. 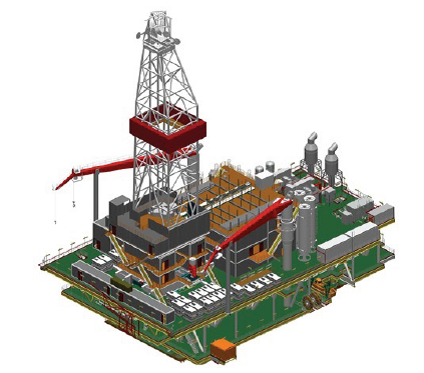 The Substructures installation will be performed by others and is schedule for installation in 3rd quarter 2016. The topside will be installed using the float over method. 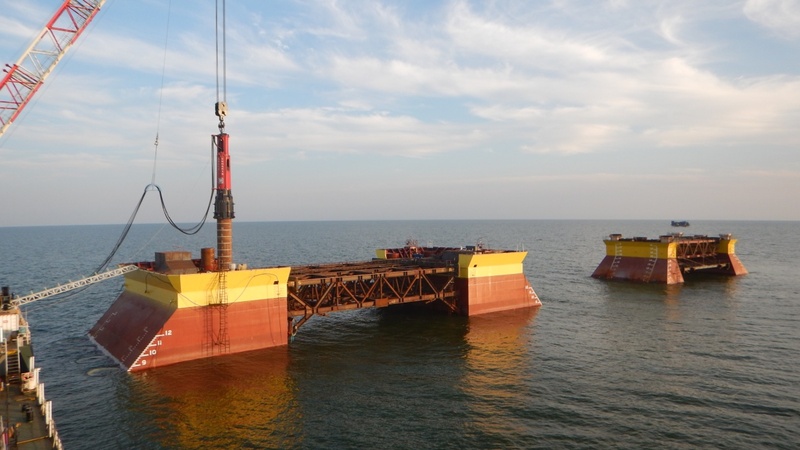 The float over barge is “Yuri Kuvykina” a 140m long T-shape barge with a nominal width of 30m and 62m wide at its widest outrigger stern section. The outrigger is 40m long. The barge has a depth of 9.3m. The topside weights are LSP2 ~8000mT and LQP2 ~1400mT. 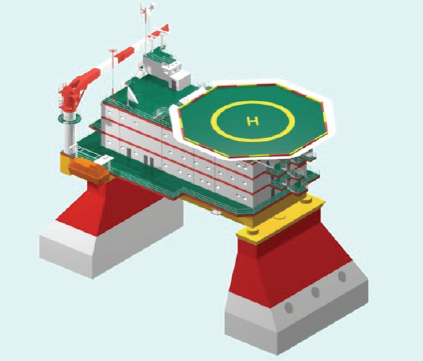 Each topsides will be loaded onto its own Deck Support Frame or transport. 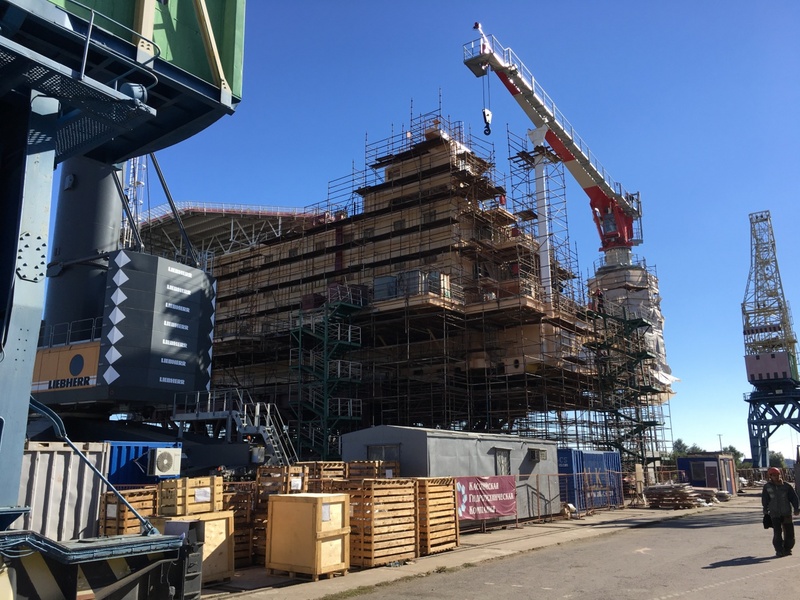 LMU will be used for the LSP2 welded in place on the Substructure. Load out operation is responsibility of fabricator and transportation from fabrication yard to site is by CHT. LSP2 Topside in Fabrication yard in Ilyinka Fabrication Yard in Astrakhan. LQP2 Module in Barrikady Fabrication Yard in Astrakhan.